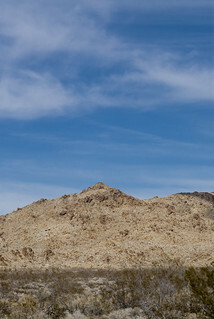 A photo of the typical beautiful hilly terrain in the Mojave. I'd never been there before, so I was constantly amazed at the beautiful mountains, sky, and eerie silence. Nikon D200 and Nikon 80-200mm f/2.8 @ 105mm f/8 1/500.